Air101: Air China's first A350-900. 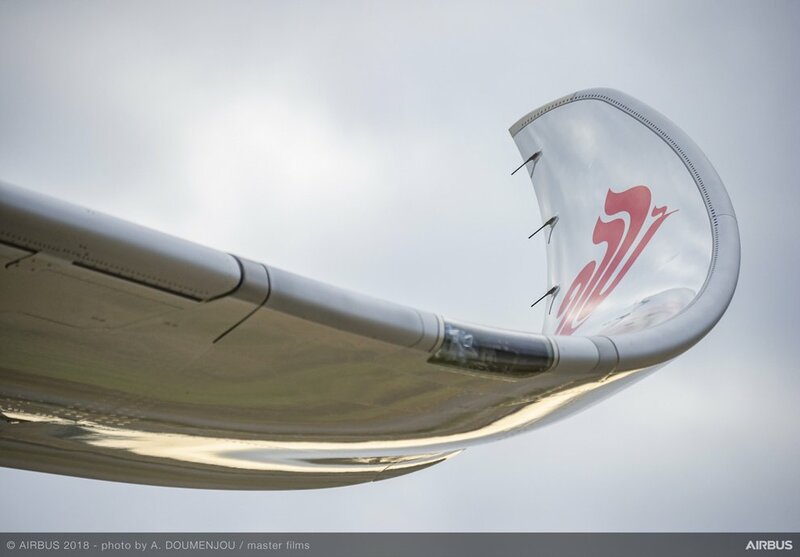 At a special ceremony in Toulouse, France on Wednesday 8th August, Air China took delivery of its first A350-900. The national flag carrier is the first Chinese mainland customer to order and take ownership of the world’s newest and most efficient twin-engine widebody aircraft. Air China has adopted a comfortable three class layout for its A350-900 which features 32 business, 24 premium economy and 256 economy seats. The new addition joins a fleet of over 200 Airbus aircraft at Air China, including 142 A320 family aircraft and 59 A330 family aircraft. 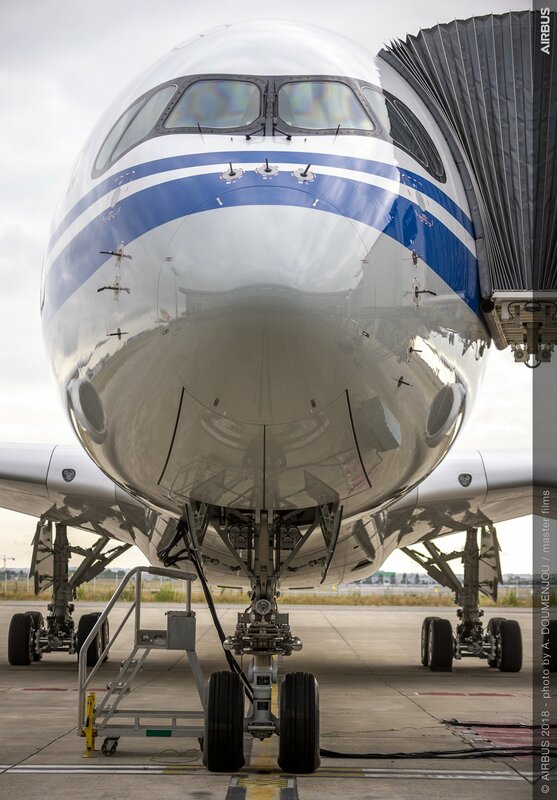 The airline plans to use the aircraft on its domestic routes first before letting the mid-size widebody technologically advanced aircraft operate its international routes. 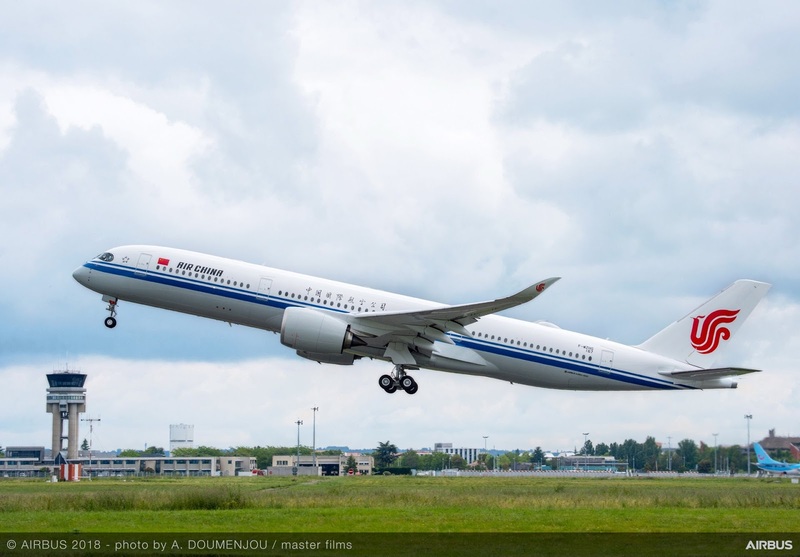 The provisional schedule will see the A350-900 operate 2 daily Beijing – Chengdu flights from 15th August, Beijing – Guangzhou 1 daily from 3rd September and it will also fly on the Beijing – Shanghai Hongqiao route. The Air China A350-900 also features the new 'Airspace cabin' which is designed to provide a better ambience for passengers with a more spaciousness feel and superior levels of comfort and well-being and quietness.